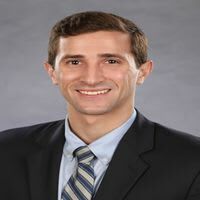 Jordan Rosen is a medical student at the University of Miami Miller School of Medicine. He is conducting research with Dr. Gil Yosipovitch during a 12-month research fellowship between his third and fourth year of medical school. He completed a bachelor's degree in neuroscience and behavioral biology at Emory University. His research and interests in dermatology include pruritic conditions, medical dermatology, autoimmune conditions, and procedural dermatology.